When: Mondays, starting August 20th. 7:00 – 8:30: All level: Tango salon: Class will consist on an instructional baseline from which you will be challenged according to your ability. Cost: $35 for 2 classes, Students $25, drop in $20, Students $15. 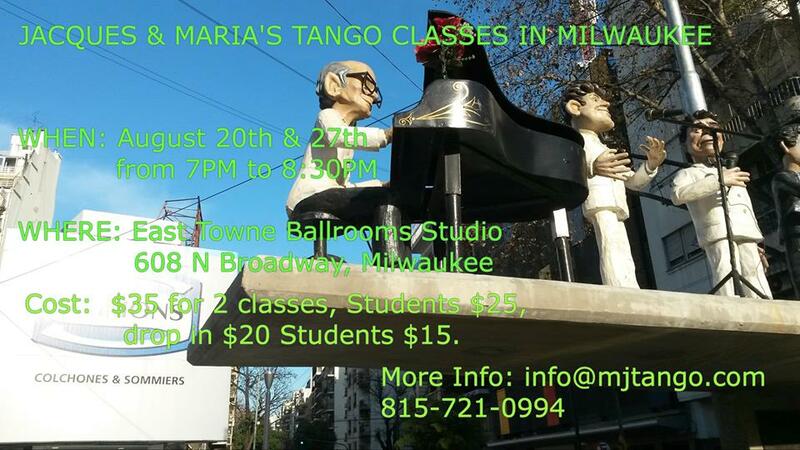 $10 drop in special for those who never tango danced before.